This is a combinatory text. There are two versions of the text – two ways of reading it: horizontally and vertically. Both versions allow the reader to save her own textual production, and then to send that production to a weblog. The reader can recombine the text according to the paradigmatic axis of language: the reader selects, the machine morphs/combines. However, some “obligatory” options resist. 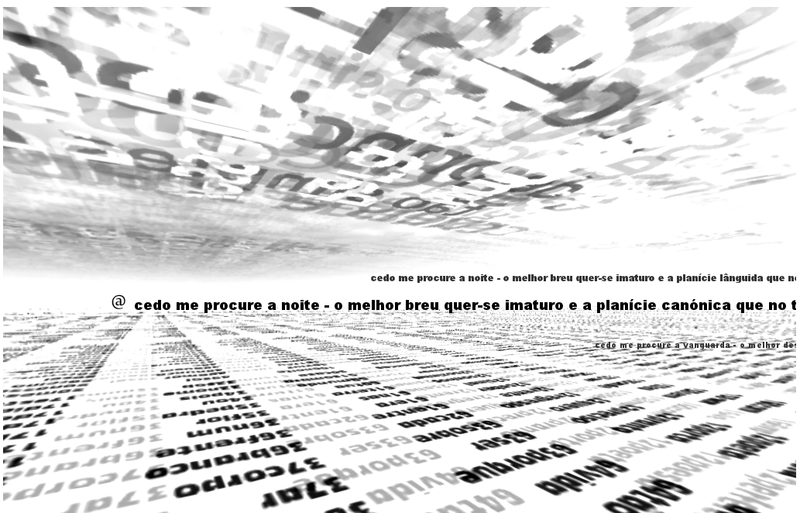 By quoting Dante, Poemas no meio do caminho is a metaphor of the reading practice: “poemas no meio do caminho da leitura” (“poems midway upon the journey of reading”). It suggests an ephemeral poetic construction that appears and vanishes in a click. 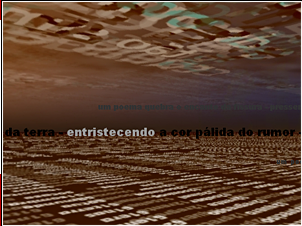 On the one hand these poems destroy the sacredness of the poetic language; on the other they realize the poïesis.This work has won (ex-aequo) the 4t Premi Internacional "Ciutat de Vinaròs" de Literatura Digital.